As far as baby books go, this book on taking care of your new baby is ideal for new parents. 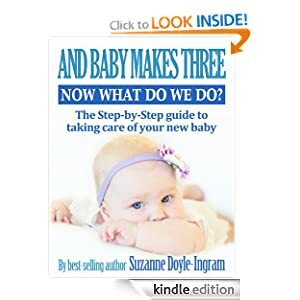 This baby book will help you to welcome home your newborn baby with less stress and more confidence than you ever thought possible. Written by a mother of three young children, "And Baby Makes Three, Now What Do We Do?" addresses the worries and fears that all new parents face. Suzanne Doyle-Ingram's first newborn baby was extremely high needs, and she cried for hours and hours at a time. Suzanne was completely overwhelmed and alone and did not know what to do. 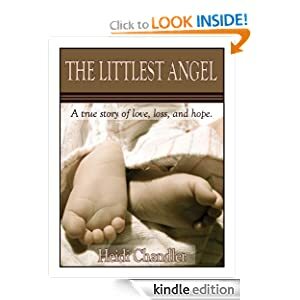 Although she had read as much as possible before her baby was born, nothing prepared her for the crying and stress of not knowing what to do after her newborn baby arrived. Through trial and error, Suzanne and her husband learned sure-fire ways to get their newborn baby to stop crying, how to put her to sleep, how to calm her down, and much more. Two weeks before her due date, my unborn daughter unexpectedly died. After the shock wore off, I found myself in the depths of depression, questioning my worth as a mother, wife, and human being. This deeply personal story of love, loss, and redemption follows my quest to find normal after being blindsided by death, and proves that it is possible to live, love, and smile again. 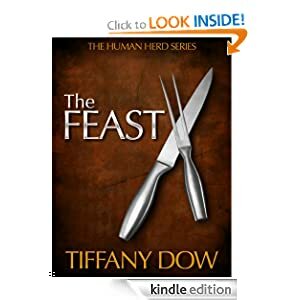 In the aftermath of an infection that tainted food crops and killed off much of the animal food supply for humans, a lucrative black market had emerged selling disease-free human meat. The government has gotten involved, developing five Ranches in the heartland of America. Fourteen-year old Elira is the firstborn member of the human herd, living comfortably in the only world she’s ever known, unable to relate to her Mother’s desire for freedom. It’s not until the young girl’s own world is turned upside down that she feels a desire to break free. 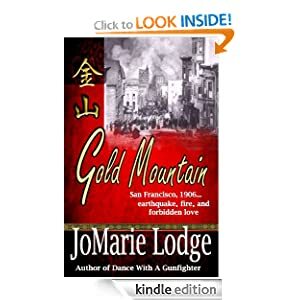 Against the background of San Francisco at the time of the Great Earthquake and Fire of 1906 comes a tale of love and loss. Ruth Greer is the spoiled daughter of a shipping magnate who finds a young boy that has run away from his home in Chinatown—an area of gambling parlors, opium dens, sing-song girls, as well as families trying to eke out a living. It is also home of a number of highbinder tongs, the infamous “hatchet men” of Chinese lore. There, she meets the handsome, enigmatic leader of one such tong, the young boy’s father, and discovers he is neither as frightening, cruel, or wanton as reputation would have her believe. As Ruth’s fascination with the area grows, she finds herself pulled deeper into the intrigue of the lawless area, and Li Han-lin’s life. But the two are from completely different worlds, and when both worlds are shattered by the quake and fire that destroys San Francisco, they face their ultimate test. JoMarie Lodge is the pseudonym of a USA Today best-selling author.